Liquid Boy’s music is rock, electro-blues, Glam, and new wave, with just a touch of 80's pop. Raw guitar riffs with electric vocals and synths, Liquid Boy’s music is eclectic, original and full of soul. 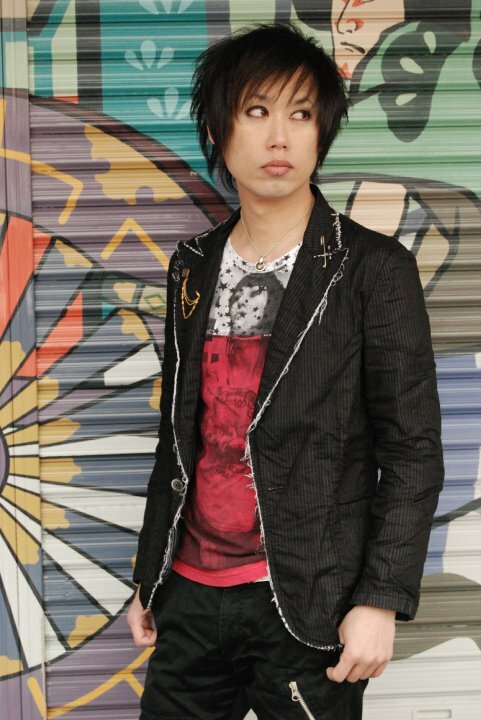 Eiji (insert last name) aka, Liquid Boy, has spent more than 9 years honing his skills as a vocalist and guitar player performing in the UK, Japan and America. While visiting Chicago for New Ye...ar’s 2011, Eiji met Buddy Guy at the renowned blues restaurant of the same namesake. With Chicago being the birthplace of blues, Eiji visited historical music sites as well as clubs and restaurants. He was inspired to continue his pursuit of a soulful sound after visiting Chicago, and from there, Liquid Boy was born to reflect his fluid and varied music style. Before Liquid Boy was created, Eiji formed F.Size.Free in 2002 with Kayo on drums and Naoki on bass. In 2004 F.Size.Free released their first album, Righty Right. After playing in venues across Japan that same year, Kayo left the band. Soon after, in 2005 the well-known powerhouse gaming company Konami selected their song "Charisma” for the 12th installment of the video arcade game Pop'n Music. With CD sales and fans growing steadily, F.Size.Free ‘s song "New People" was selected for the 13th installment of Pop’n music. When Konami released the consumer game of the same franchise for the Play Station 2, both songs were included. 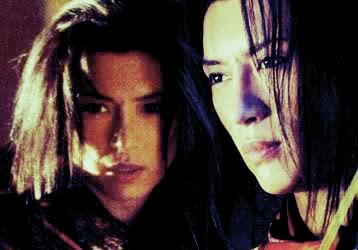 In 2005 Eiji played guitar for Kinya Kotani’s opening song and single, “Blaze”, for the anime Tsubasa Chronicle. Lesley Smith of Anime Fringe described "Blaze" as "an upbeat example of J-pop at its finest", and the song went on to rank 19th on the Oricon singles chart and remained on the chart for five weeks in a row while Eiji appeared on NHK music programs for promotion. That same year Eiji played guitar again for Kinya Kotani’s opening song “ Aeriel “ for Tsubasa Chronicle the Movie: The Princess of the Country of Birdcages. Continuing in this vein of music, Eiji lent his guitar skills and performed for Yuna Ito’s song, “Endless Story” for the movie NANA. "Endless Story" debuted as No. 2 on the Oricon Charts and stayed in position among the Top 5 singles for more than five consecutive weeks. By the end of the year, Oricon reported that "Endless Story" was the No. 1 Love Song of the year 2005, beating out such top artists like Utada Hikaru, Otsuka Ai and Hamasaki Ayumi. Due to the song’s success, Eiji performed on TV ASAHI’s "Music Station" with Yuna Ito. By the middle of 2006, Eiji was offered the chance to perform with several other artists, but Eiji wanted to create original songs influenced by the various genres of blues as well as sing, so he began focusing on F.Size.Free with Naoki. Soon the duo began playing live houses and gained international attention. F.Size.Free appeared in magazines and on websites such as Gaku-X, J-Pop Express and Bizarre-music.net, going on to be invited and performing in 2009 at J Culture Con in Britain. Naoki left the band soon after to take care of his family and Eiji continued F.Size.Free as a solo project handling guitar, programming and vocals. In 2010 he gave his first U.S. performance in Los Angeles at an event organized by Tune in Tokyo, then for New Year’s Eve in Chicago for MadHatter Magazine. It was after the event in Chicago that Eiji created Liquid Boy, a new chapter in his musical life. 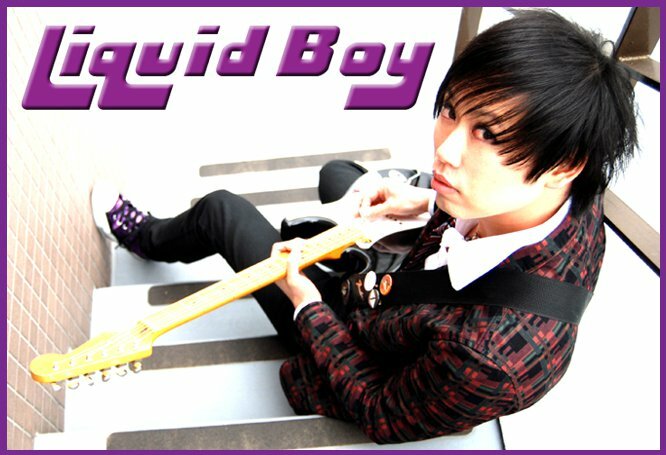 Liquid Boy’s influences: David Bowie, Jimi Hendrix, Duran Duran, Buddy Guy, Paul McCartney, Muddy Waters, THE WHO, FUTON, HAL FROM APOLLO'69, Masami Tsuchiya, YMO and many other blues and rock musicians.